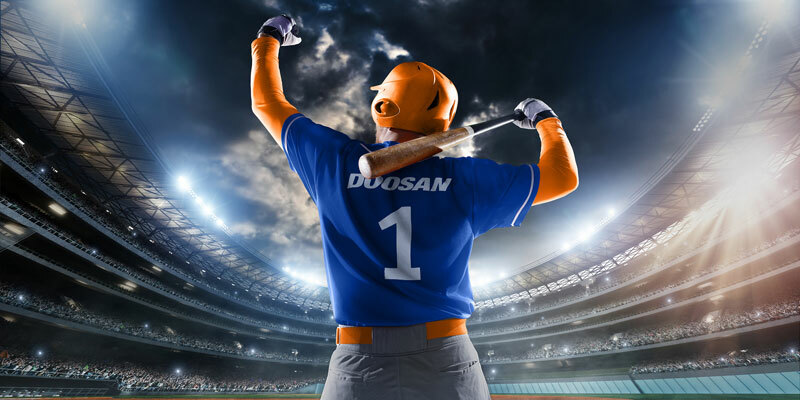 Superb performance and high power output thanks to the new generation of Doosan built diesel engines. 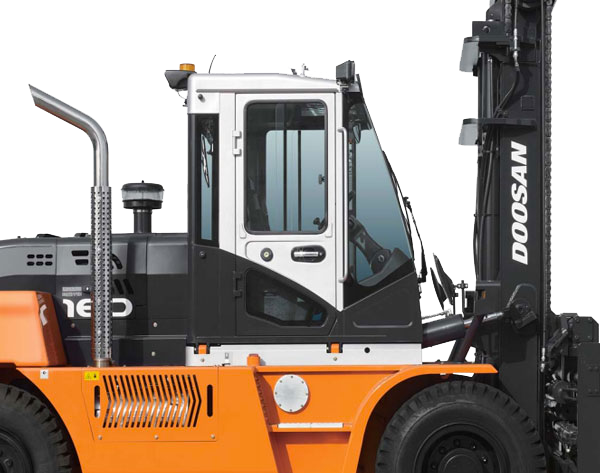 Rugged reliability, a strong and rigid chassis frame, and a design that uses the best materials possible, ensures that Doosan products are durable enough to handle the most rigorous applications. 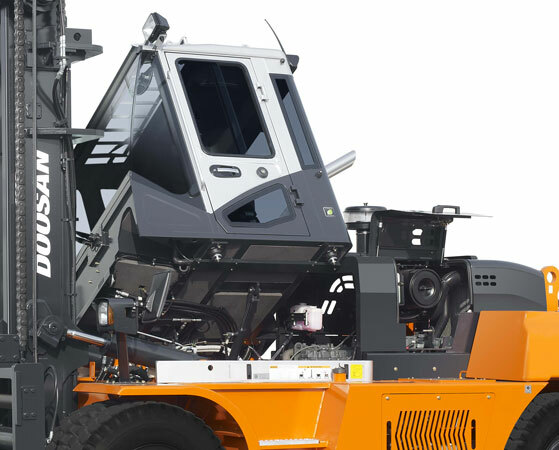 Pro-7 Series Forklifts are built to tackle the most demanding applications. Increase safet y when operator enters the forklift especially in the snowy weather. 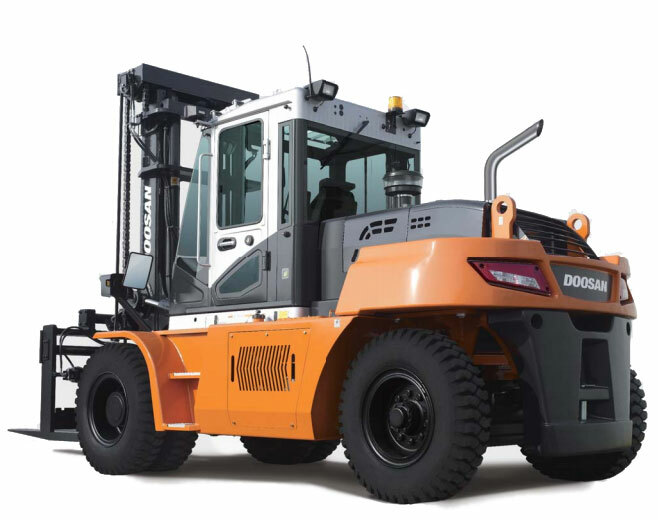 All Doosan 22,000 – 36,000 lb Series Forklifts come equipped with Oil-Cooled Disc Brakes (ODB). The enclosed brake system eliminates outside contamination, significantly extends brake life, and decreases maintenance costs. The ODB service interval is five times longer than conventional shoe brakes. 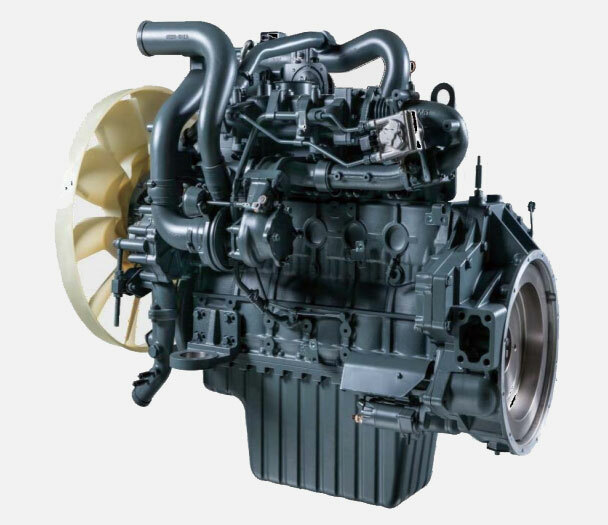 The new Doosan DL06P 6.0 liter diesel engines are designed for effi ciency and provide the performance and quality that you expect. A waste-gate turbo charger coupled with a high pressure common rail fuel injection system provides exceptionally high torque at low rpm with the bonus of lower fuel consumption. Low fuel consumption offers excellent performance while complying with EPA Tier 4 Final emission regulations. Selective Catalyst Reduction (SCR) system: The Pro-7 22,000 – 36,000 lb Series uses a Diesel Exhaust Fluid (DEF) as well as a catalytic converter to signifi cantly reduce NOx emissions.